Darby Perkins has been passionate about empowering women through the birth experience since 2006. She is a birth doula with ATX Doulas, a team of experienced birth and postpartum doulas that offers a variety of services for women and families through all stages of the journey from pregnancy to parenthood. Darby has a natural calming, reassuring presence. She wants to help women trust their bodies which were created to give birth and also help them realize that they have options during the birthing experience. She believes that giving birth should be your greatest accomplishment, not your greatest fear. Outside of doula work, Darby enjoys spending time with her husband and three boys, entertaining friends at her home, and taking dance classes around town. 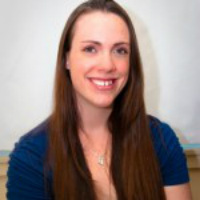 Alison Davenport is a birth and postpartum doula serving the Austin area. Alison is passionate about supporting and empowering women throughout their pregnancy and birth experience. She loves working with women and their partners to help them achieve their goals in this season of life, and believes that a knowledgeable and loving support system is vital to creating happy and healthy families. It is her absolute joy to be able to minister to women during this incredible time. Alison currently lives in north Austin with her husband and her feisty two-year old son, Oliver. Rachel Nehme is a DONA certified birth doula and has been practicing since 2012. The unique experiences she has had living in New York City, Nashville, TN, East Africa, Australia and Europe has allowed Rachel to observe a common thread women all over the world share in their journey towards motherhood – a need to be empowered, encouraged, and supported in pregnancy and birth to feel confident and honored in their role as a mother. Rachel cherishes diversity and values learning a family's specific needs for a fulfilling birth. She is a peaceful, nurturing and attentive labor companion for moms and dads at a hospital, birth center, or home. Rachel loves life in Austin with her husband and her two children. Katherine Creamer is the middle child of 3 girls in her family. Her parents instilled a drive and a passion to research and advocate for what she felt was right in all areas of life, but especially when faced with medical decisions. Her mom passed down a sense of empowerment that has carried me in life, and it is this empowerment that she hopes to encourage women to find in the course of their unique pregnancy and labor experiences. She and her husband were married in 2009, and welcomed their first daughter at Austin Area Birthing Center two years later. She researched the type of birth she wanted, and invited a wonderful group of midwives and a very sweet doula to join them in their journey to achieve that birth. It was such a beautiful experience! Their second daughter joined their family a few years later in 2014, and it was shortly thereafter that she realized her passion to help women in their own journeys towards motherhood. health, infant care, and family support. She has worked as a nanny, family coach, household manager, and children’s pastor. Through these occupations she has further developed her interest in birth and understanding how a woman’s birth story often affects so many other aspects of family life. She believes that offering support, care, and information to families is part of her God-breathed destiny and she is honored to be called into the beautiful and intimate realm of birth and family services. Ruth Wills is a birth and postpartum doula, a member of ICAN, CTDA, and a volunteer at the South Austin Pregnancy Resource Center as a doula and childbirth educator. Her passion in life is to support women and families through knowledge, love, and, most of all, prayer. Nurturing families during God’s miraculous time of pregnancy, birth, and postpartum, is the essence of how she has been called to show God’s love. Nicole McCharen is DONA trained and has been attending births since 2009. With a background in Social Work and a focus on prenatal and parenting education, she desires to bring a peaceful, joyful, and encouraging presence to those with whom she works. She believes this can only be done by the work of God's love and presence through her. With the desire to follow Jesus in all she does, she is passionately called to empower mothers as she supports them through pregnancy, birth, and postpartum. Nicole feels it is a blessing to work with women and their families during such a significant time! 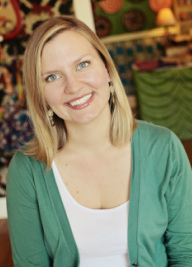 Jamie Crouse Gwynn is a DONA certified doula, serving in the North and Central Austin area. She has two children whose beautiful, natural births inspired her to want to assist other women in achieving empowered, positive birth experiences. Her goal is to help you feel calm, confident, and supported in the birth you choose. She believes strongly that our bodies were exquisitely designed to give birth, and that your decisions as a mother and family should be honored and respected. She sees her doula work as a ministry of love, serving families during one of the most amazing experiences of life, welcoming a new life into the world, and also as part of a human rights movement to bring respectful, woman-centered care to maternity services. She also provides consultations for parents interested in Elimination Communication, cloth diapering, baby wearing, and natural parenting, and clients have access to a free rental library for cloth diapers and baby carriers. She has been trained by Stillbirthday to provide bereavement support for families suffering pregnancy and neonatal loss. Denise Goad came to Austin in 1990 with her husband. She has lived in the Austin area for the past 25 years. They have two wonderful daughters. The older one is studying to be a midwife and the younger one is a senior in high school. She began to explore and to see what she would like to be involved in after she finished homeschooling her daughters. Denise learned about various birth services because of her daughter’s midwifery studies. She certainly enjoyed the birth experience with both of her daughters and wanted to build on that positive experience. Denise is a very caring and nurturing individual and wants to use those traits to care for expectant mothers. 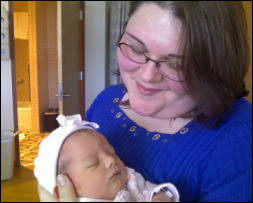 She is a DONA-certified birth doula and becoming a doula was the obvious choice for her to pursue. She enjoys being a part of the birth event and hopes you consider some of the wonderful birthing centers in the area: The Natural Birthing Center, Austin Area Birthing Center, Natural Beginning, and Beautiful Beginning Birth. Her desire is to provide support and encouragement to expectant mothers prior to and during their birth experience. Denise enjoys being a part of these beautiful births and assisting the mother. She looks forward to serving you.